I dropped the ball. At the Living with Wildlife conference in Lewistown, MT we were discussing, "Marketing your Livestock for Sustainability," and I fumbled, big time. I made the mistake that many rookie Holistic Managers make. I hear the word "marketing" and I immediately think about glitz, glamour, and increasing gross income. We talked about branding, products, and niche marketing of grass-finished beef. A strawberry blonde, a taller and younger Robert Redford look-alike, brought us back to reality. "You guys are really depressing. You are all losing money producing grass-finished beef. Why are you doing this?" Packing a pistol is a way of life for Trina Jo Bradley, a Dupuyer-area rancher along Montana’s Rocky Mountain Front. The pistol is her protection from grizzly bears. She is on constant watch for the large bruins. Many local people had different reasons for attending the conference. “I attended the opening and closing parts of the conference,” said Lewistown businessman Dave Byerly, “as I had read the letters to the editor in the News-Argus that were against the conference. I wanted to see for myself just what this was really about. LEWISTOWN — Even here, in the heart of rural Montana, life is quickly changing.There’s now a rock radio station where once only country singers crooned on the lone AM channel. An old feed store has been remodeled into a microbrewery and restaurant, its massive wooden beams that once supported cattle and horse feed now lightened under the load of diners and drinkers. 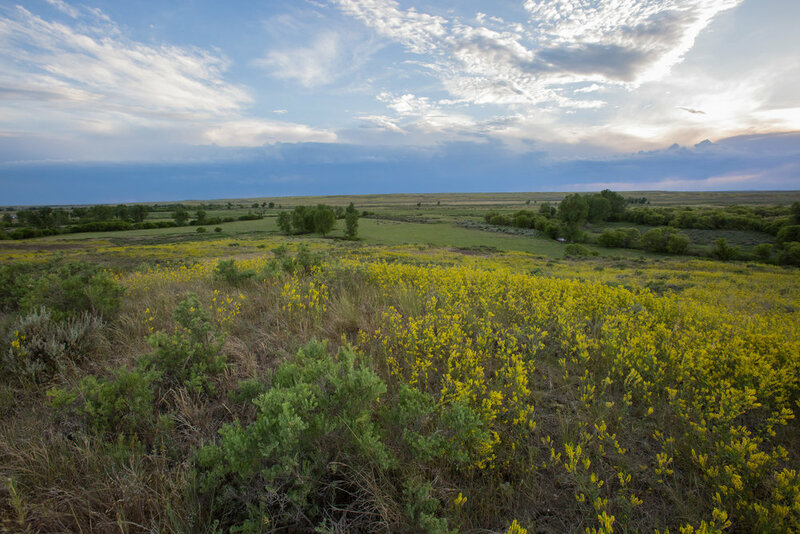 To the south, billionaire brothers Dan and Farris Wilks have bought thousands of acres of ranchland on their way to becoming the second largest landowners in the state, and to the north the nonprofit American Prairie Reserve has begun work on eventually creating a more than 3 million-acre wildlife conservation area that caters to educational and recreational tourism. By now, I think it is safe to say everyone in Montana has heard of the American Prairie Reserve (APR) and the plans they have for five million acres of our great state – land that has been in agricultural production for the last 200 years, and will never return. Recently, APR announced a Living with Wildlife conference in Lewistown, which is scheduled for Wednesday, Jan. 23 to Friday, Jan. 25. For anyone interested in the complex relationship between agricultural communities and wildlife, plan to be in Lewistown from January 23-25 for the first Living with Wildlife conference. Sponsored by National Geographic, the goal is to bring together some of the best minds in agricultural production and wildlife issues to offer solutions to one aspect of the most pressing issues facing producers. aliquam.